With more than 30 years of experience, AiM has recognised that the biggest opportunity for employment in our country lies in training artisans. 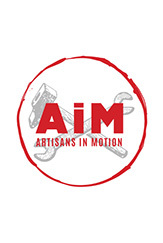 AiM offers accredited learnerships and apprenticeship programmes to artisans, with a vision to enable skills and create jobs. 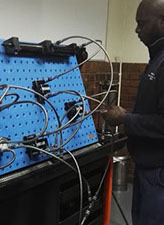 We deliver on-site and off-site artisan training through professionally qualified facilitators, and we cater for both able-bodied and disabled learners. 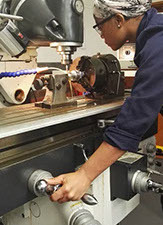 Our services include conducting pre-employment skills assessments to determine competency for any positions for which the individual has applied, as well as Recognition for Prior Learning (RPL), where we identify what skills and abilities the learner has already acquired in order to customize training to teach only the skills which they don’t yet possess. 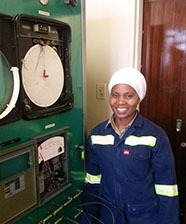 Ultimately, our business provides hands-on training that delivers all the skills you need for a community-based economy, while also enabling a skilled artisan workforce to satisfy growing industry capacity requirements. AiM Training Centre, East Geduld Road, Enstra Paper, Springs.